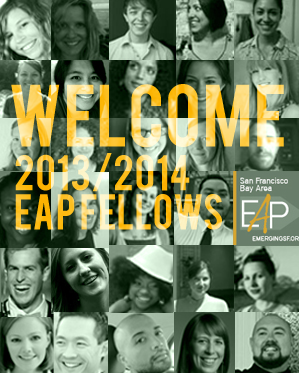 EAP presents a variety of public programs for its network, intended to meet their evolving needs and interests. As a whole, EAP programs are intended to embed a new value system in the arts sector, which prioritizes empowerment, relevancy, and diversity. Our approach is to empower individuals to connect to each other, define their own needs, and design their own methods for meeting those needs. Working groups, project teams, coalitions of network participants, special committees, and other groups of the EAP network guide the design and execution of our public programs. In 2013 we have also introduced an open request for proposals, to further empower the members of our network to create the most relevant and impactful programming.